Shark Pajamas and Star Wars…What are you thankful for? The holidays! One of my favorite times of year let me assure you. 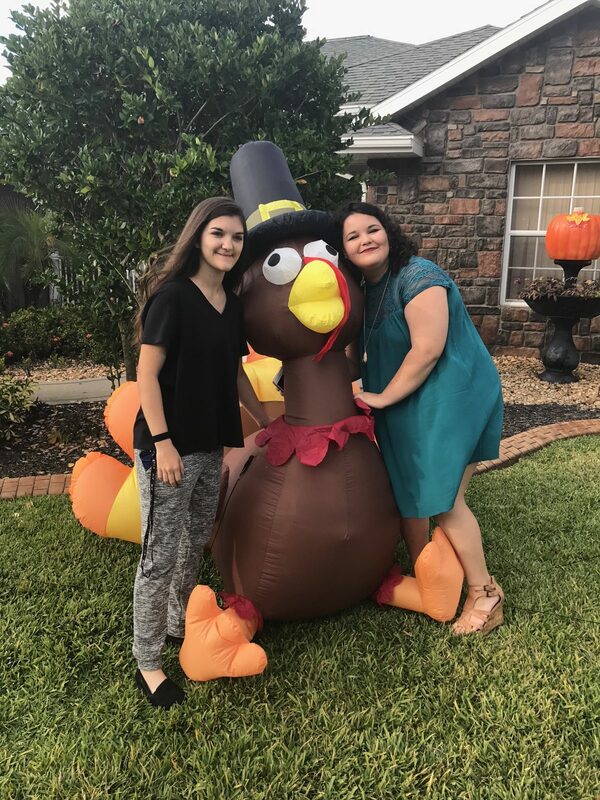 Although my family has never been big, my dad normally works, and we live in Florida where Thanksgiving and Christmas are always hot we still celebrate every year. It’s a celebration, something that calls for more than just cheering on your favorite football team from the couch or seeing how many pieces of pie you can personally stuff your face with before feeling like you’re about to explode (my personal record is 6 by the way). It calls for the celebration of agriculture and the national tradition that we can and will hold true. At Thanksgiving, sitting around the table we all go around and ask each member what they are thankful for. There are always the usual things like family, faith, health, love, and so on and so forth. However, I always say something extra, “FFA, and the farmers that grow this food so that we may consume it.” After all the first Thanksgiving was originally founded off of the pursuit and prosperity of agriculture if I’m remembering my history correctly. The Pilgrims and Indians came together after the Indians had helped the Pilgrims to grow crops and survive in the New World. So why is it that we seldom look to agriculture at this time for joyous celebration and focus instead on parade floats, pumpkin pie, and seeing how many touchdowns our teams can score? Do we ever consider the fact that agriculture is a 365 day per year job? There are no full holidays, no sick days, and in this day in time almost no “thank you”. Although Thanksgiving has come and gone it is never too late to give thanks for the blessings we all possess. Never. 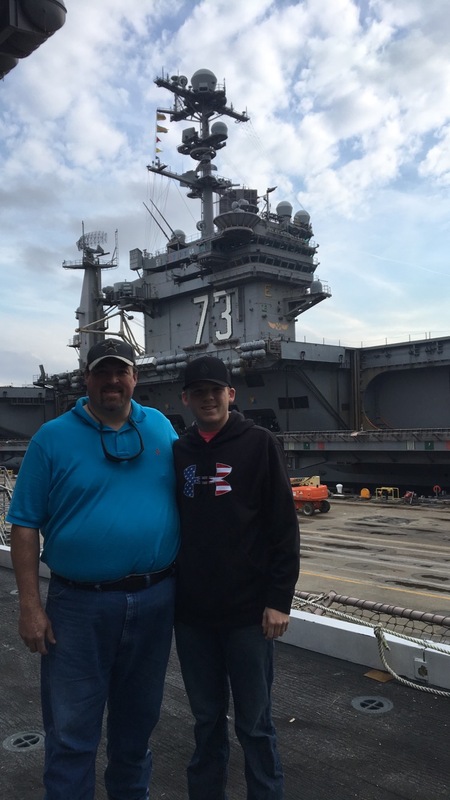 We are blessed to be able to hug our families and tell them goodbye before we leave in the morning for school and to come home to a roof over our heads, a warm bed, and plenty of food to keep us satisfied. Most of all it is never too late to extend a thank you to an agriculturalist somewhere. So Mariah, as you would like to tell us all that we should be thankful for, what about you? I’m always thankful for family, faith, and the FFA. I’m thankful for Netflix, passionate FFA members, the ability to serve you, shark pajamas after a long day, the entire Star Wars franchise, Mr. Ronnie Simmons, Mr. Kevin Kent, and Ms. Hannah Huggins. I am thankful for the seven individuals you chose to become my best friends and my siblings, Anna, Brett, Catharin, Emily, Hunter, Mason, and William. 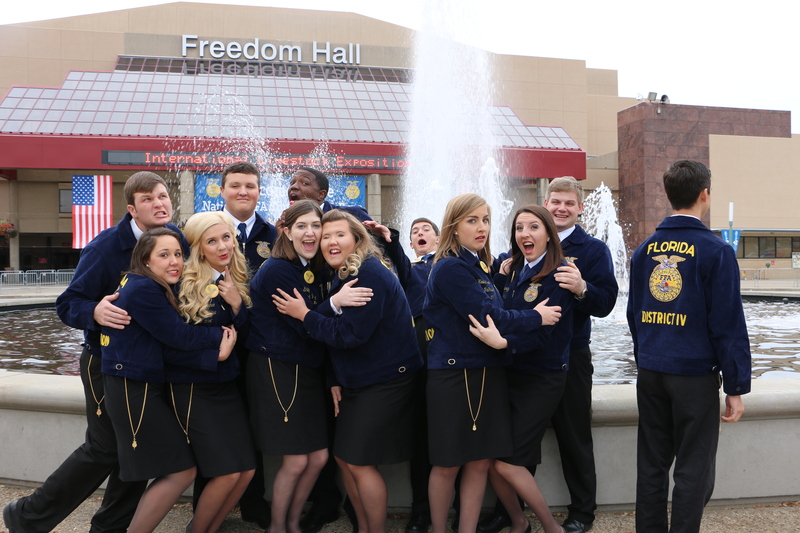 Lastly Florida FFA I will forever be thankful for you and the blue jacket we all love and share. If you would have told me three, two, or even one year ago that this week I would be sitting as a delegate or even as an attendee at the 89th National FFA Convention and Expo in Indianapolis, Indiana I would have called you crazy! 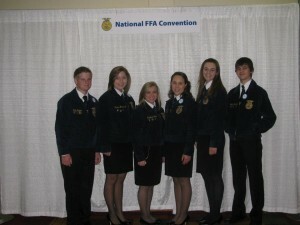 The extreme honor of attending National FFA Convention was always something I placed as an extreme honor. 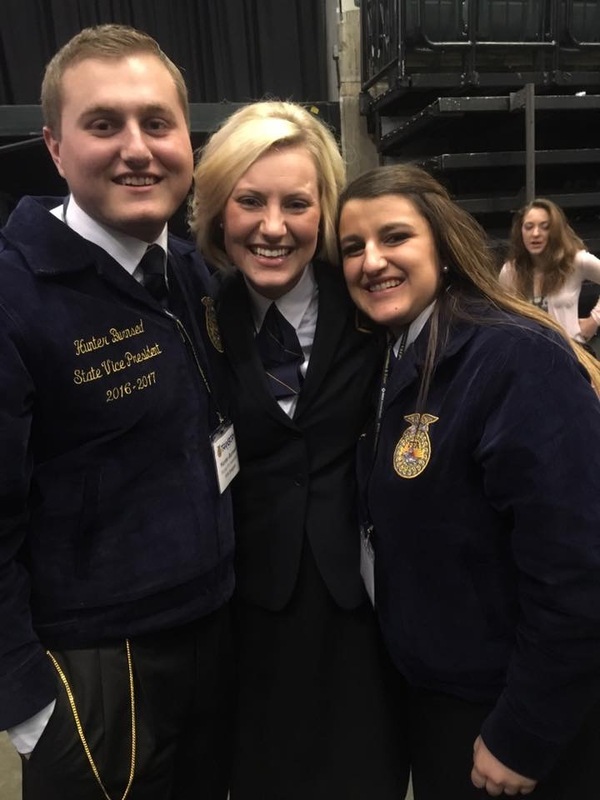 To me it was always the destination of destinations, to sit in a crowd of a sea of blue and gold was a stellar once in a lifetime opportunity, and the idea of actually interacting with National FFA Officers was something I could only dream about. 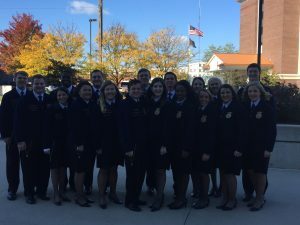 So every year I reserved the DVR for a week and set it to record every session of the National FFA Convention broadcasted on RFDTV. Sitting on the couch in whatever chapter or state convention t-shirt I had planned for that session, those few hours became something I looked forward to at the end of every day to come home and absorb. I would cheer for the CDE winners from Florida or from any state for that matter, dance as the National FFA Chorus and Band performed, and cry as I watched each National FFA Officer deliver their retiring address to sobbing members. I remember the first convention I watched, the theme was “ignite” but for me the theme was simply “Clay’s team”. I just couldn’t believe that someone from my very own state had the honor of tapping the gavel as the National FFA President. Although National FFA Convention remained as something unattainable in my eyes, I learned that once I got to high school it was unattainable for members to attend at all. As I watched the Sebring FFA members who would be attending load into the school van to drive away I only placed National FFA Convention on a higher pedestal. “Mariah, you will NOT go to National FFA Convention until you earn it. Not until you have a purpose for being there. Are we on the same page?” my brain would echo into my head every year the annual celebration rolled around. So I began searching for a purpose. I practiced my tail off for CDE’s hoping that I would be lucky enough to be the individual or the member of a team that claimed a state title so that I could compete at nationals. I rehearsed flute for what felt like hours on end and submitted an audition tape to the National FFA Band hoping I would hit the right note and be granted the honor of playing symphonies for FFA members from across the country only to find that I didn’t make the cut. Then my senior year I began preparing for state office. Maybe just maybe if I was what Florida FFA and its members were looking for and I was actually elected I would be able to serve as a National Delegate. So I studied, practiced, and rehearsed for four long and challenging years. When my name was called as the state champion in High School Extemporaneous Speaking I realized that I had finally earned it. When it was called again to serve as your Area VI State Vice President the pedestal finally came crashing down. I had earned what was to be the greatest memory of my life. I was going to be a National Delegate and represent Florida as their Extemporaneous Speaker. I had finally done it and I was going to have a phenomenal convention! I absolutely did. My first National Convention was filled with endless amounts of joy and tons of memories that I can honestly say will last me a lifetime. I was able to watch as the committee proposal Florida FFA had drafted became a committee and then a nationally accepted committee report. 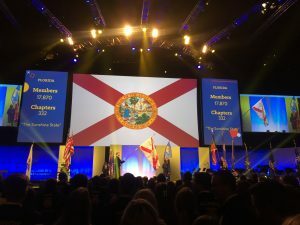 I got to see members from all over the state represent the sunshine state with tremendous energy and passion whether they were bronze, silver, or gold emblem teams. William Jameson, my teammate and your Florida FFA State President stood on stage as a committee chair respectfully submitting his committee’s report and I got to observe. I busted a move on the delegate floor with state officers from states like South Carolina, North Carolina, Iowa, Maine, Texas, and the list goes on. 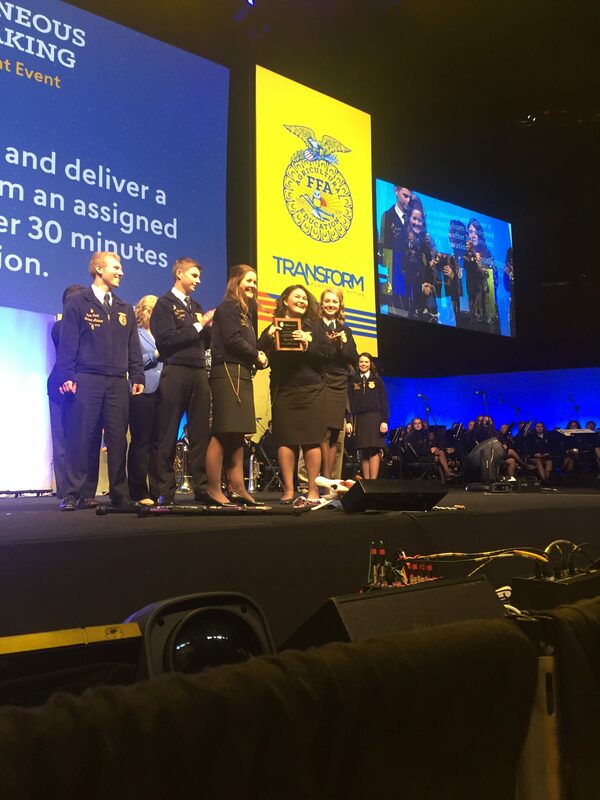 I walked across the National FFA Stage to accept an award to the CDE I have devoted my FFA Career to. I experienced the joy as our members received the highest degree any member can receive, the American Degree. 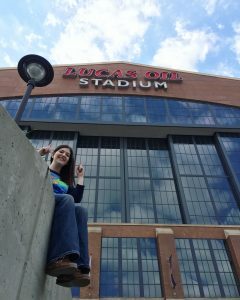 I conquered Indianapolis, Indiana with my state association but, Mariah what was one experience you will never forget? The butterflies and the rush of joy when our very own Victoria Harris was called to serve as our 2016-2017 National FFA Secretary! Join me in wishing her a year of service, memories, and passion. Coming back and changing out of Official Dress after the last session of my first National FFA Convention something truly hit me. I had a purpose to attend all along. Even if it was just to sit in the seats and say that I was there. Even if it was to cheer on my state association the best way I know how, loud and obnoxiously. Even if it was just to feel like a part of something bigger than myself. 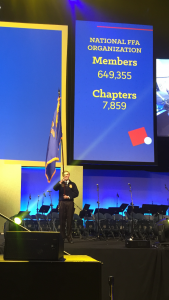 There is no reason that any FFA member should not attend National FFA Convention and I encourage you whole-heartedly to follow your path to the 90th National FFA Convention next year. We all have a purpose within this organization and coming together make the dawn of a new era in agriculture so bright. Hope to see you there next year! It is hard to believe that in less than thirty days my year of service will be completed. It is also hard to believe that eight years in the FFA has gone by. I can still remember the tingling feeling I got when I won my first sub-district creed speaking competition in the eighth grade. Or the time when my stomach was filled with butterflies as I walked into the arena of my first cow show. 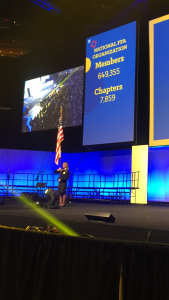 I can recall my heart beating with excitement in sync with loud music and my eyes trying to follow the streams of lights, as I attended the first general session of the 83rd annual Florida FFA State Convention and Expo! I could literally write paragraphs about the memories I’ve have in this organization; I am sure that we all can. We can recall the emotion, location, and maybe even what we were wearing when we have those pivotal moments. However, what we often overlook is the people that made it possible. That tingling feeling I got when I won the creed speaking competition was only possible because Mrs. Glenn coached me through hours of practice. I entered the arena to my first cow show with butterflies because my parents drove me to the fair, helped me with loading and unloading tack, and encouraged me to get into that ring. I also did not realize until this year as a state officer, how much work is done by the state officer team and state staff. There is a lot of time put in to putting on the Florida FFA State Convention. My team has spent countless hours creating and memorizing scripts speeches and ceremonies. 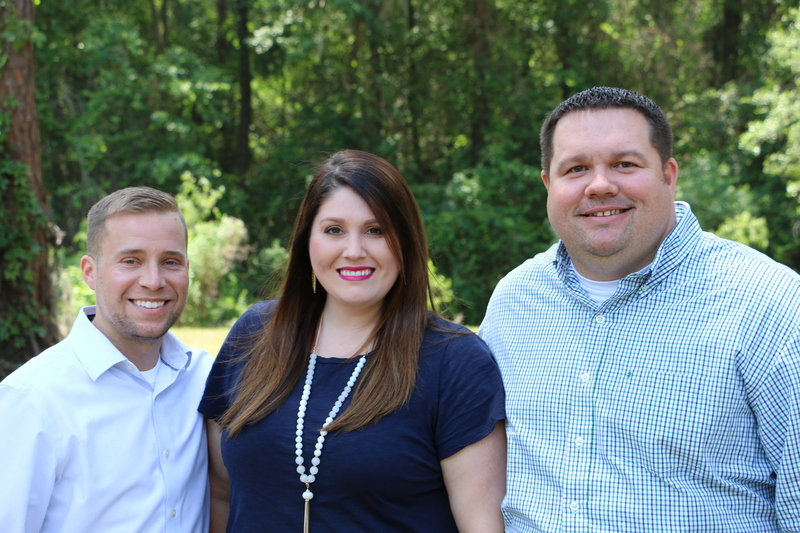 Mr. Kevin Kent, Ms. Hannah Huggins, Mr. Ronnie Simmons, our Florida FFA State staff, work from dusk to dawn each year to make state convention the best – so all of those FFA members can have a heart pumping and adrenaline rushing experience like I have had. Often we forget to give credit where credit is do. We get so wrapped up in the experience that we don’t take time to thank the people who made it possible. So a big thank you to my family, my advisors, and my teammates. Also a big thank you goes to the Florida FFA state staff for making State Convention the time of my life as well as many other members lives, but also thank you for the work that you do even when it is not convention. Florida FFA is only as great as it is because of how great you are! Appreciation is the greatest gift you can ever give to someone. As the year is winding down don’t forget to reflect on who has made your year spectacular, then tell them that they have made your year great! There is somebody who has helped you cultivate your legacy, once we recognize those people who have helped us. Then, we can in turn, help other cultivate there legacies. What Floridian doesn’t love the month of April? I mean besides the fact that it can be bright and sunny out at 1:15 p.m., and by 1:20 p.m. you can have a monsoon outside – it is the perfect time of the year. Spring is upon us bringing with it crisp warm weather, the bright blossoms of the azalea, and the anticipation for school to let out for the summer. It brings with it the joy of pulling the boat from under the shed where it has collected dust all summer, and spending countless days attempting to rid our vehicles of the nettlesome Florida “snow” (or pollen as some people like to call it). Growing up I too was very fond of the month of April however it may not have been for the reasons you think. When a lot of people were pulling boats and jet skis out from their sheds, I was helping my father pull out our potato harvester and getting it ready for the upcoming harvest season. While I was anticipating the end of the school year, it wasn’t so I could spend my days at the beach. I knew that once school was out I would be able to spend everyday at the farm doing what I love. 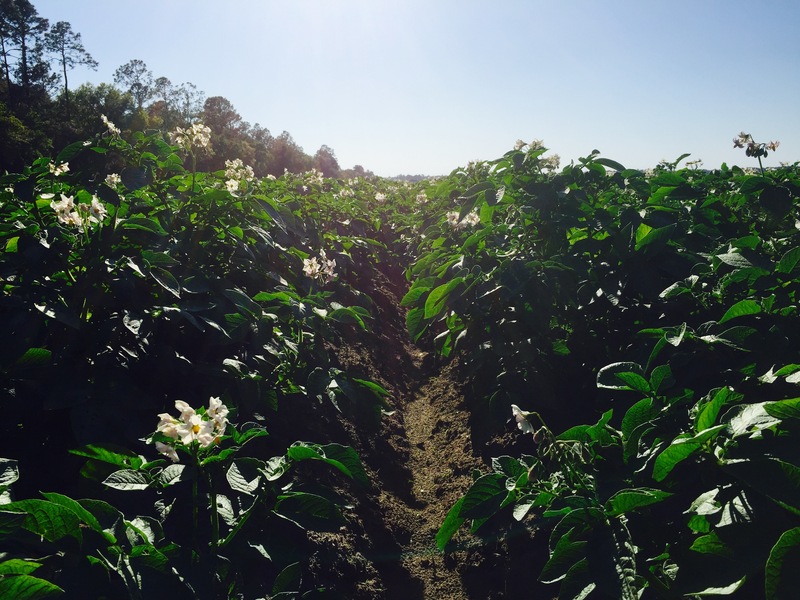 My favorite part about spring was when those huge potato plants starting to bloom. Looking out into that field and seeing those white flowers topping those big leafy plants was mesmerizing. Now I haven’t always enjoyed looking at those little white blooms. But I remember one day when my grandfather and I were out riding the fields I asked him, “Grandpa, why do you always ride so slow by the fields? If we drive faster can’t, we check more in less time?” I remember the way he looked at me and replied, “But if I was to drive faster, I would miss the chance to enjoy the beauty of every plant.” At the time I thought the old man was crazy but as I’ve went throughout my year of service I realized maybe he actually had a point (or that I was just as crazy as he was). A lot of times we are so focused on seeing the big picture that we tend to forget to focus on the little things because we think they aren’t as important or wont make a difference. We forget that it’s the little things that make the bigger picture possible. Whether it’s the simple white bud on a potato plant, or when you’re at your next CDE enjoy spending the day with your teammates rather than worrying if you will place or not I want to leave each and every one of you with a challenge. That challenge is to slow down, take a step back, and enjoy the little things everyday has to offer. 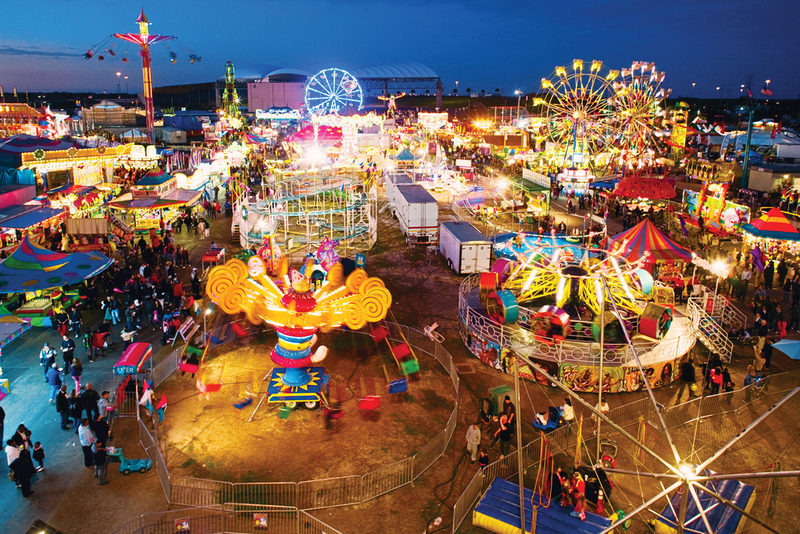 It was a typical day at the Florida State Fair…if there’s such thing as a typical day at State Fair! Brooks and I drove to the fairgrounds early in the morning to work the Boer Goat check-in, and then we met Stephen in the afternoon to help with the set up for the Ag Hall of Fame Banquet. The three of us worked quickly to stuff the name cards in name card holders and then put a red or yellow ticket in each. With the help of several other people, we finished set up early – like two hours early, so we had some time to kill before returning for the banquet that evening. And of all places, the fair is the perfect place to kill time! However, we were in official dress so our options were pretty much limited to eating. No problem! Stephen stopped at a fried Oreo place while Brooks and I ordered milkshakes. We made small talk with the milkshake man while waiting and then he handed Brooks his Cookies and Cream and my Cookie Dough came a minute later. The guy asked us how they were so Brooks said his was good, but I had not gotten a chance to take a sip yet. All eyes were on me as I struggled to take a large enough sip to get a taste of my milkshake. After I tried long enough, I gave up and said “It’s good!” Now, this response would have been fine, only the milkshake never reached my mouth and they could see that through my straw. So I basically lied to the milkshake man and he called me out on it. Brooks and Stephen did nothing to help me but laugh. I laughed too…from embarrassment; this happens way too often when I’m around those two. With all this being said, I encourage you to enjoy every moment. Enjoy your classmates, teachers, friends, animals, activities, and events that you are involved with. The school year is getting close to being over but there is still so much left – CDEs, Prom, and Chapter Banquet, among many other events! Keep a grateful and gracious heart and you will be golden! So before the whole year gets away from me, I’ll be doing my best not to count down these next 108 days, but to make them count! 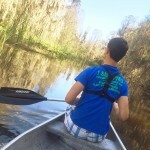 So here I am in a canoe with Brooks. He sits in the front of the boat and starts to paddle. The rest of the state officer team and Mr. Kent are behind us. Since Brooks and I both are competitive people we are ripping through the water at light speed. Then, we approach the creek which was new territory for us. 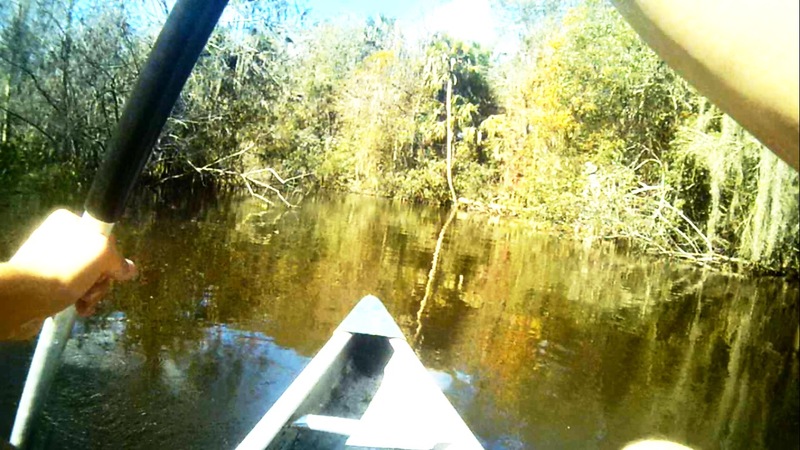 Regardless of our inexperience we had faith that Samantha, our canoe, would carry us through the uncharted waters. This comment really made me think, why did I enjoy myself on an adventure that was horrible for others? I wouldn’t consider myself a thrill seeker so it wasn’t fun because it was scary. I believe that I found it fun because I cannot help it. 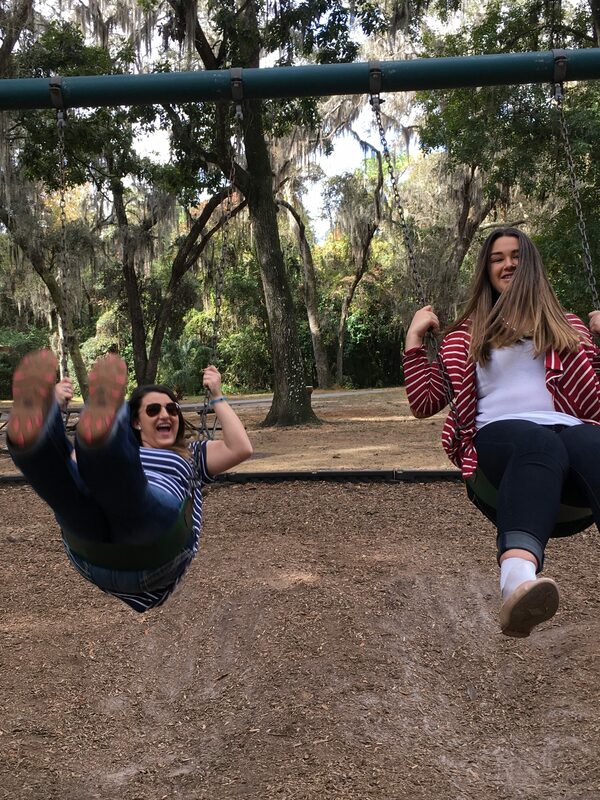 Finding the fun in anything is just a habit. 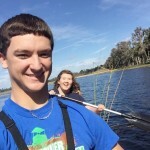 When I was canoeing I enjoyed laughing at Brooks freaking out and the adventure we had together. Even writing this blog I could not help but giggle. Finding something to laugh at or something to stay positive about even in times of discomfort will make all the difference in your life and others around you. If we change the way we look at things, then the things we look at will change. How will you look at things? When you are sad, angry, or upset will you stay that way? Is positivity a habit or hardly ever done? When you are in the canoe, will the spiders make you tip your boats, taking you and your partner swimming with the fishes? Or will we find that positivity to keep us balanced? Imagine a hot summer’s day. You’re out with your family swimming in the pool. You come to the surface for a breath of air and catch a glimpse of your mother walking towards you carrying a large green object. 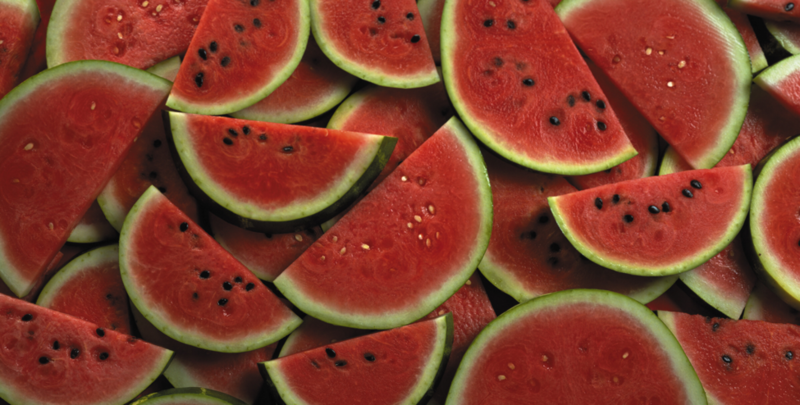 Possibly the best summer treat in all of Florida: a watermelon. As winter begins to settle in and the cooler night’s approach, many of us would believe that farming is over for the year. That all production is over until the spring. However, for watermelon farmers the season is only beginning. Growing watermelons is an eight-month process from cultivation of the soil to cultivation of the plants back into the soil. 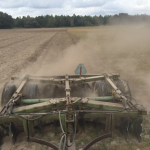 During the month of December, farmers are beginning the long thorough process of preparing the ground for planting. They have to cultivate the land several times to ensure that the land is clear and level and nutrients are brought to the top of the soil. Once the land is ready, farmers then rotovate beds and apply plastic on them to hold the plants. Under the plastic is a plastic tube that is a form of drip irrigation to supply the plant with water and fertilizer. 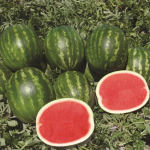 Finally, when the nights get above freezing temperatures at the end of February or early March, they are ready to plant watermelon plants that are a few inches tall. Cultivating the land is not just about plowing up dirt, it’s a sign of new beginnings for the farmer. It’s a promise of a better year in store for them. Growing up working on my uncle’s farm growing watermelons has taught me so much about what work goes into creating our food. There are countless hours spent in the fields caring for the crop. It’s not about the GMO’s or pesticides being used on a crop, it’s the love and care a farmer uses when tending to their crop. The money a farmer makes off of their crop is all that they get for the whole year. It’s not like a normal job where you get paid monthly. Farmers get one paycheck for their crops and they have to gamble their livelihood on the success of them. With so much on the line, they have to put all of their effort into making a successful crop to contribute to feeding the predicted global population of nine billion people by 2050. As FFA members it is our job to be advocates for agriculture. We must learn from the agriculturalists in our community and take that knowledge and share it with those around us whether it may be citrus, strawberries, beef, or in my case watermelons. The next time you enjoy a sweet, juicy, and crunchy watermelon, remember to thank a farmer for the long months of work that went into producing it. Think back with me to your first national convention. That could’ve been four or more years ago for some of us but for others it may have been just a couple of weeks ago. Now as you are thinking of this great experience what was encompassed in that trip? 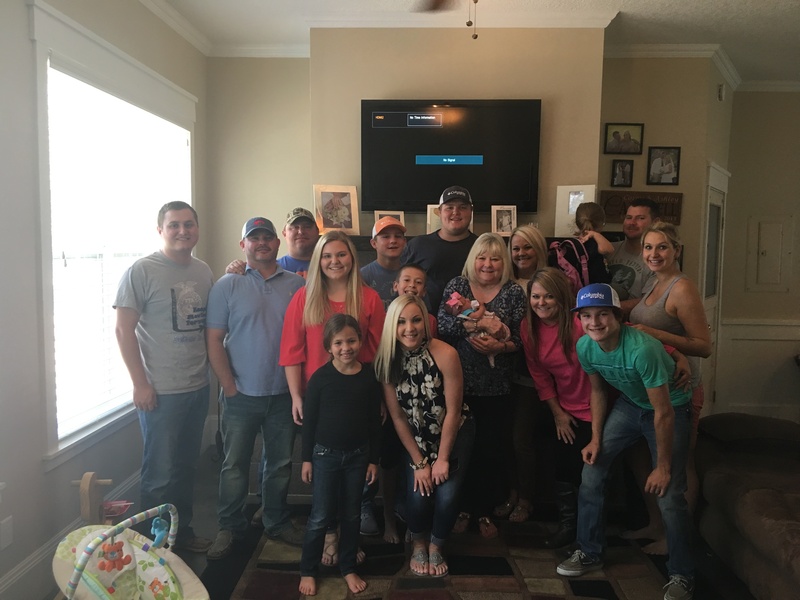 Did you go to compete, go to tour the agriculture elsewhere, or were you the extra person to fill up a room? Travel back in time with me to my first convention just a short four years ago, and boy was I so excited to go. I was allowed to go just to fill up a room to help the competing team with expenses. 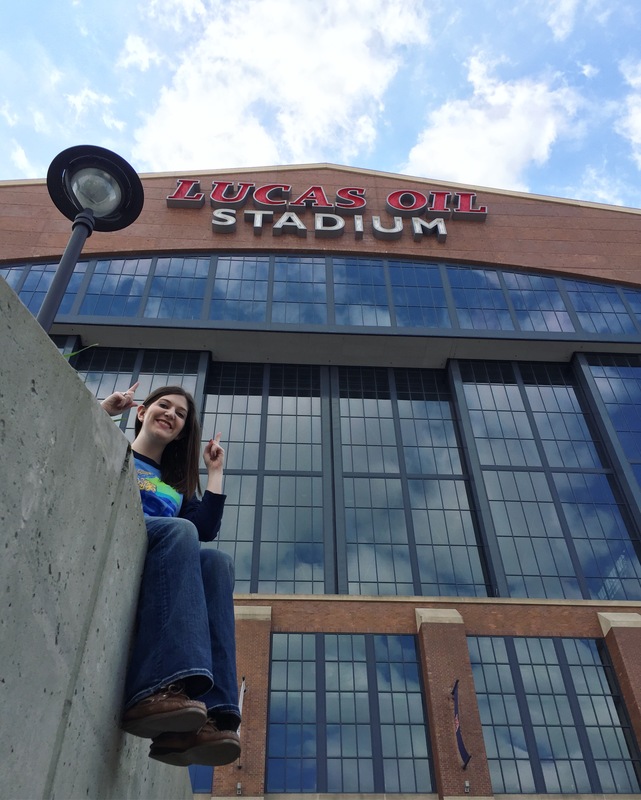 My experience at that first convention in Indiana, Indianapolis was wrapped around my chapter’s food science team competing. I was just an extra person to fill the van while they were engulfed in their competition however, I still had the best time there attending almost all the sessions and spending countless hours in the Expo Hall. Those sessions were full of loud energizing music, fog, lasers, lights and the overwhelming sea of overly pumped blue jacketed members. I was so amazed at the sheer volume of blue and gold jackets that covered downtown Indy along with all of the wonderful support from the citizens of Indy. I loved listening to the National Officers speak empowering words with such passion and love for this organization and had a great time; however I was just a filler. No purpose besides to enjoy myself. Now fast forward to this past October where I had the honor of serving along with 11 other wonderful individuals as the Florida FFA Delegates. I was super blessed to spend countless hours working with delegates from all over this great nation to help improve this organization. 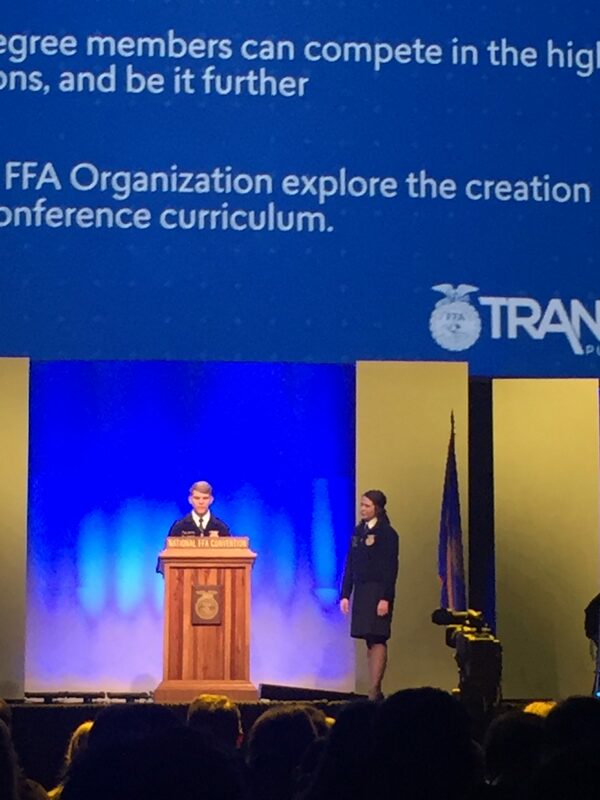 I was part of the process that in the past has brought forth great changes such as changing our name from the Future Farmers of America to the National FFA Organization to stay current with our diversified membership and 50 years this year the delegation voted to merge the NFA with the FFA! I was a part of this process and it drove my passion for this organization even further than before. I was no longer just a filler but rather there to make an impact. I was able to make positive differences for this organization. Now let’s flip back to your experience, more specifically this past convention. One thing I didn’t realize my first convention when I thought I was nothing but a filler, was that I was still making an impact even though I didn’t see it then. 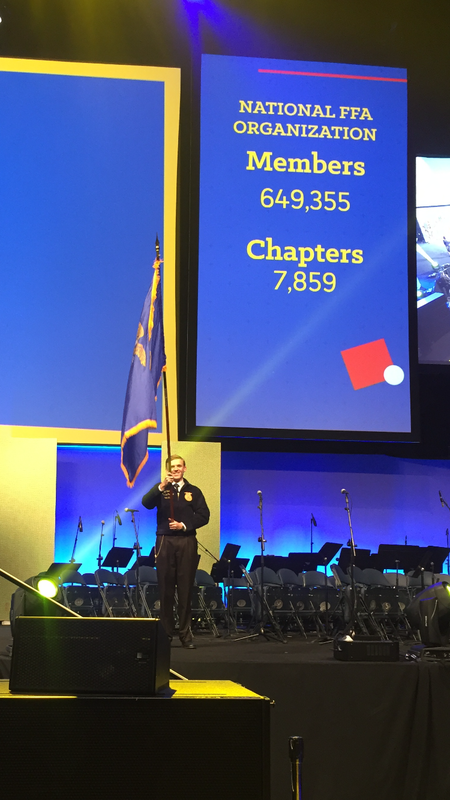 If you went to this year’s national convention, you made an impact. You had a purpose there. 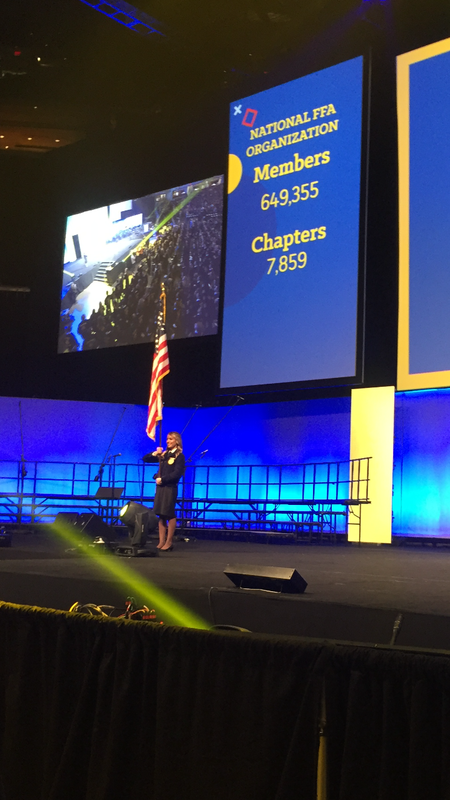 Whether it was to compete and represent the Florida FFA Association, you made an impact. 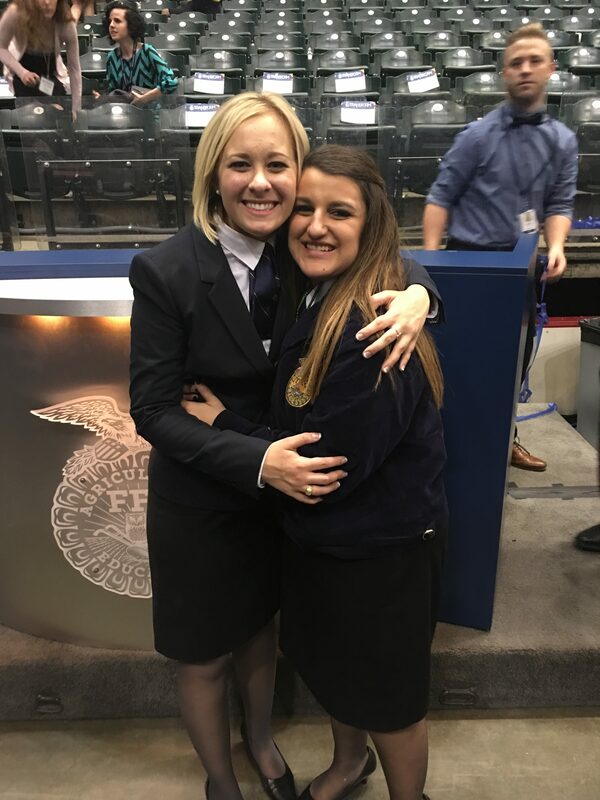 You could have gone this past week to visit multiple places and see agriculture in Kentucky you made an impact, you learned some awesome lessons that you can take back to your chapter. Maybe you went just to do nothing besides be an attendee, you had a purpose and made and impact. From cheering on our national officers and bringing a smile to their faces or by helping out a nervous speaker know that we are caring individuals and loved to hear them speak, you made and impact. Always remember you have a purpose and are there to make an impact. If you weren’t able to attend this past convention and would like to walk the sessions you can find each session in the link below. When it was first suggested that we take a picture on top of the grain elevator I thought it was some sort of joke. Merely considering standing that high up in the air without anything securing me to the rails had my heart racing. Even more so, there was no way that the spindly steel structure connecting one silo to another, meant only for transporting corn, was capable of supporting the weight of seven people. But sure enough – we found ourselves standing at the foot of a winding metal staircase. 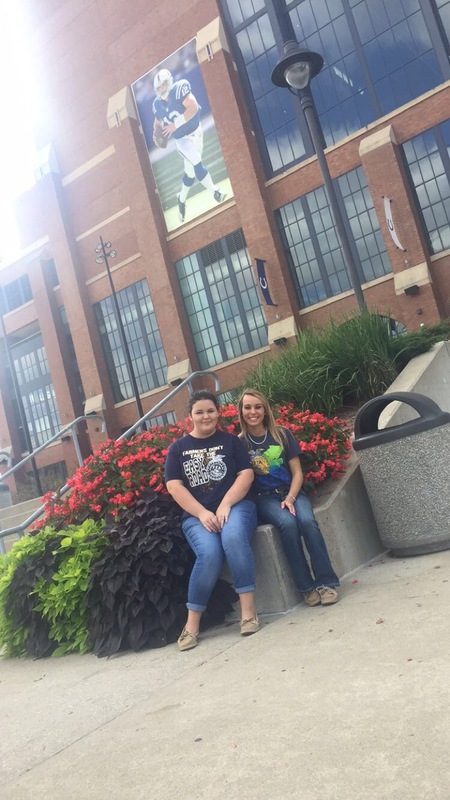 Last month, the state officer team had the opportunity to partake in Florida’s yearly Iowa Agriculture Experience. This trip, made possible by the Iowa Pork Producers Association, gives us the chance to see American agriculture in a whole new light. Iowa agriculture is less diverse than agriculture in Florida, as Iowa’s main focus is corn and soybean production, used to feed market hogs. What Iowa may lack in variety however, it makes up for in magnitude. Iowa leads the nation in hog production, raising over twenty million head each year. But all of that pork can’t be consumed here, which makes it easy to believe that Iowa exported more than ten billion dollars worth of agricultural products in 2013. Witnessing production on this scale helped me to see how exactly United States agriculture really does feed the world. My knuckles turned white from tightly gripping the handrail as we made our way up a seemingly endless flight of stairs. Eventually, after climbing for what seemed like an eternity, I set foot on the final step. We had made it to the top, but now it was time to venture out on the platform connecting one silo to another. Trying not to shake the narrow metal path, we shuffled out on the walkway. Once we reached the center where we gathered for a picture I was struck by the landscape we were now looking out over. Laid out before us were thousands of acres of corn, spanning much more land than I could see. I remembered a conversation I had shared with the owner of this particular farm, Mr. Denny Gienger, earlier that day. He had told me that he farmed roughly two thousand acres. At the time of our conversation, two thousand was just a number to me. But now, standing several stories up, I suddenly realized how vast the land he managed was. Before, what had been just a statistic was now tangible, and I finally understood how massive not only this farm was, but our entire industry. This epiphany I had while terrified at the top of a grain elevator parallels the entirety of my time spent in Iowa. The perspective on farming that I gained from my new vantage point mirrors the perspective I gained on agriculture as a whole during the trip. This visit up north reminded me that agriculture does not end past the Florida border. Agriculture is a global pursuit and we as FFA members are representing all of it. As we continue to advocate for our industry, remember to share the story of American agriculture as a whole, because it is our combined efforts that manage to feed the world. 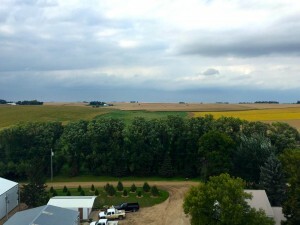 Our time in Iowa and our trip to the top of the grain elevator are events I won’t soon forget. 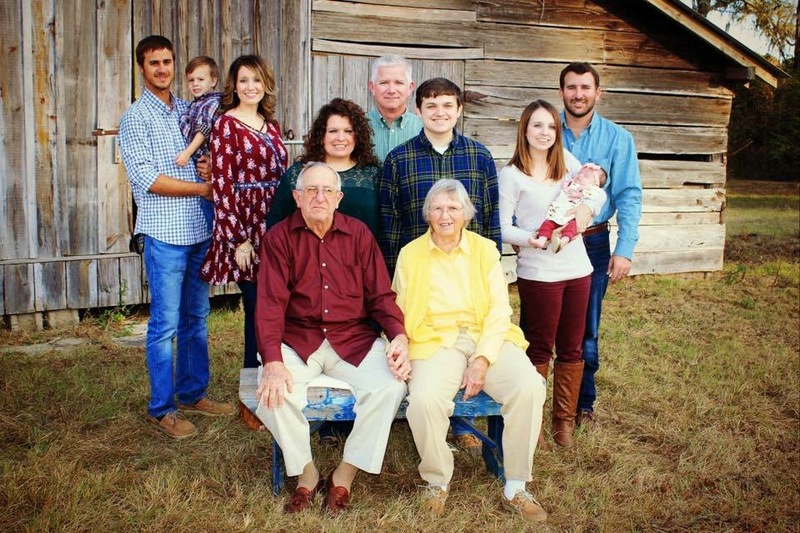 I’m thankful for these experiences, as they have endowed me with a fresh perspective on American agriculture and a renewed thankfulness for standing on solid ground. In case you didn’t already know, it rains a lot in Florida! Who am I kidding, if you have lived here for any span of time you know this, as well as the fact that the weather can change from a sunny 90 degrees to a torrential downpour in a matter of minutes. And while rain is instrumental to life, it doesn’t necessarily make for the best driving conditions! After eighteen years of living in Florida, and four years of being an FFA member and traveling around the state, I would say that rain is to be expected on road trips, sort of like a tradition! Since being elected almost two months ago, I still haven’t made the drive to or from Gainesville without the windshield wipers going full speed at some point in the trip. Quite possibly the worst weather I have ever driven through was coming home from our first trip as state officers. Just five minutes later, the storm eased up and it was smooth sailing the rest of the trip. It occurred to me that I was so consumed in the pressures of the moment that I forgot to consider what was beyond the storm. I think as FFA members, and humans in general, we often get so caught up in the challenges of the moment that we forget the bigger picture. I remember having to adjust to three new Ag teachers and how tough that was. Each new teacher had a totally different personality and way of running the program. It wasn’t easy to keep the momentum in the chapter going and sometimes I got incredibly frustrated. Of course, it wasn’t their fault, I just couldn’t wrap my mind around why it had to happen to my chapter. This wasn’t how it was supposed to go in “The perfect FFA career.” Then something always prompted me to redirect my focus to the skills I had gained despite the circumstances: adaptability, perseverance, communication, trust, faith. Skills that I couldn’t have acquired with only one advisor all four years. When I reflect on this, I can see the purpose each difficulty had in my FFA career and ultimately life beyond the blue jacket. I can’t help but think of the farmers who experience the same challenge of excessive rain among many other setbacks. They could easily choose to sit on the sidelines and say “Oh, someone else can take care of this…” Agriculturists live their days with the future in mind. They cultivate the ground with the hope that it will prosper, all the while knowing that challenges are likely. Agriculturists truly live for what’s to come. Now, each time I drive through the traditional rain, I try to focus on the road, but also think about how my attitude and choices in a particular moment shape my character in all of the moments following. By no means am I promoting driving in hazardous weather. However, I am challenging you to live for beyond the moment. 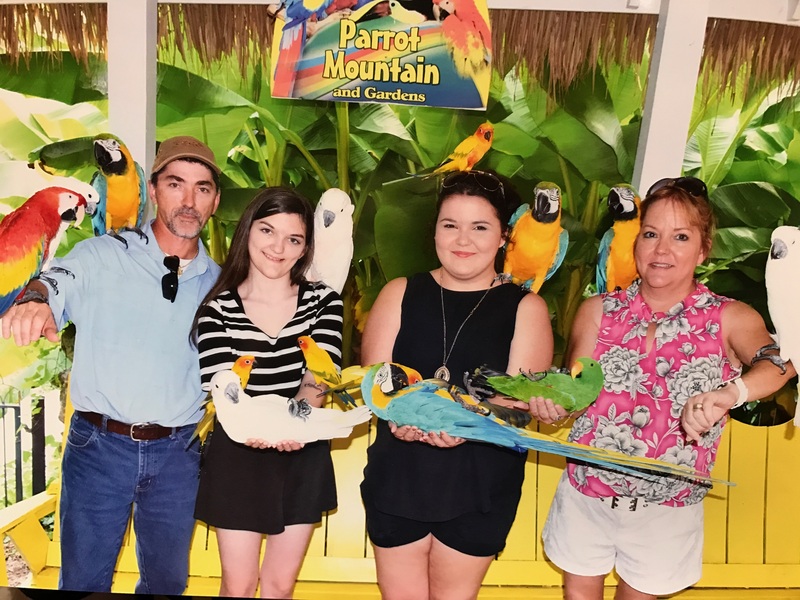 © 2019 Florida FFA Association. 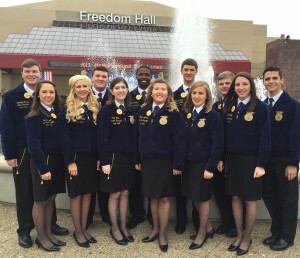 AboutLearn more about Florida FFA. Awards & RecognitionAwards, Degrees, and Scholarships. You’ve earned it. 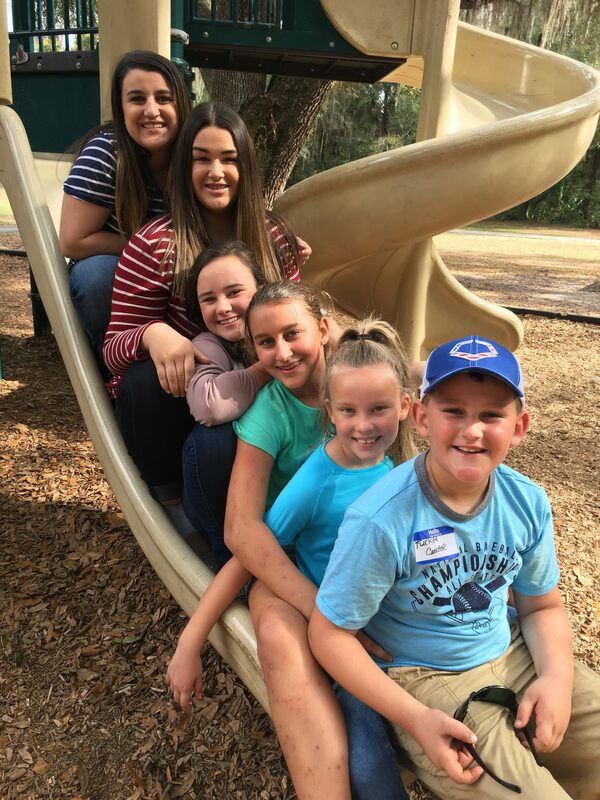 Chapter Management & MembershipThere’s a place in the FFA for everyone. Competitive EventsDevelop your potential for career success. NewsKeep up with the latest and greatest. Leadership EventsStand out from the crowd. 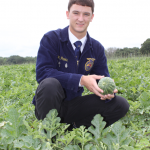 ContactStay in touch with Florida FFA. All rights reserved. Florida FFA Association.